soc.bi newsgroup FAQ Bi newsgroup. 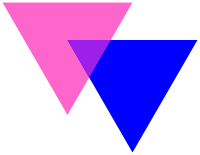 The Androphile Project Extensive resource of gay and bisexual history. AfterEllen.com News, Reviews and Commentary on Lesbian and Bisexual Women in Entertainment and the Media.